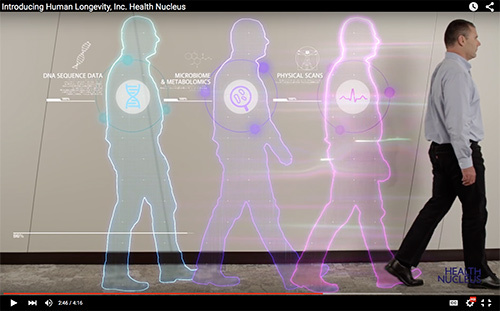 Human Longevity (HLI) launched Health Nucleus, a genomic-powered clinical research project that the company says has the potential to transform healthcare. The inaugural Health Nucleus facility is located in San Diego at HLI’s headquarters. More Health Nucleus facilities are slated to open in 2016 in other U.S. and international cities. The Health Nucleus platform uses whole-genome sequence analysis, advanced clinical imaging, and machine learning, combined with a comprehensive curation of personal health history, to deliver a comprehensive picture of individual health.